The weather is getting worse. That is even better. It is ideal for hiking. 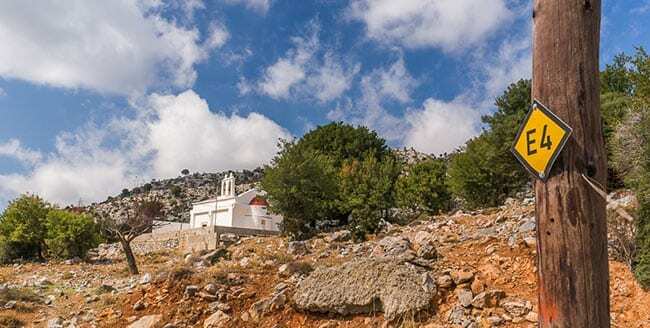 Sfakia and nearby villages have very high occupancy at the end of every season by tireless Europeans of all ages. And this happens for a very long time. It is now ten years since the first time I visited this little village in the south of Chania. It was September, the day had shortened enough. The first leaves of the trees in the north of Chania Region had begun to fall. That was the first signs of autumn. And yet, while driving through Lefka Ori, reaching the south side, the Libyan Sea, the feeling was completely different. First, the weather in the south (opposite Gavdos Island), was somewhat milder. It is safe to say that autumn in south is coming later that in north. The village was full of tourists. You could hardly find a room to spend a night, most sunbeds on the beach were taken and the restaurants (tavernas) were full. Few Greeks, many Europeans – French, English, Germans etc – all of them enjoyed the clear, deep waters of the beach and quite a few were walking around the area. A decade ago, the word “hiking” was unknown to most of us, here in Crete. This has changed the last few years. A quite big part of tourism has developed and established in the southeastern part of Chania Region. It is connected directly to hiking and trekking activities. What does this mean? 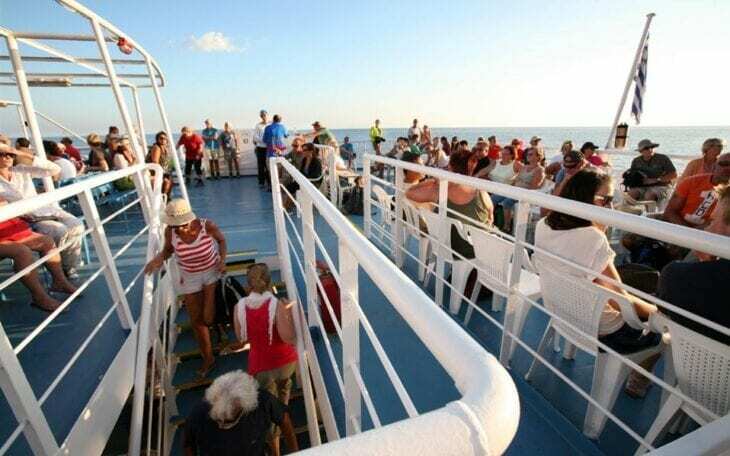 That it has been achieved an extend of the tourist season, that the Greeks here for years and years by authorities. “We are fully booked until the end of September! If the weather is good, October will be busy too!” says Gianna. The owner of a family runned ‘rooms to let’ in Loutro. “September for us is like August. Even better sometimes. We work with guests who come here to hike. With people who know what they want.” told me earlier this summer another accommodation owner of the area. “They wake up early in the morning, wear their equipment, follow the hiking routes and come back later the same evening for dinner. They are not tedious and do not have unreasonable demands like guests in August. We take care of them and we tailor our services to their needs” he added. Anyway, there is no road access to Loutro. You can get there by boat from Chora Sfakion or with a water taxi. Meanwhile, it is a little odd that this village became so popular and gained a lot of loyal friends. Travellers return to Loutro for more than 15-20 years. Odd, meaning that the buildings developed in the last decade are not so attractive and the overcrowding during season peaks of the only beach road. But this is only the first insight you get as soon as you arrive. Later, your opinion will change. As soon as you get out of the cool, calm sea, your realise that there are a few steep cliffs and beaches between you and your car, you are a few steps away from your room, the mini-market, the taverna and you hear only “Kalimera”, “Kalispera” and smiles. Roger and Brenda, an English couple at their sixties, or Petra & Reggina, two female women from Germany at their fifties, would not change anything in their vacation in Loutro. They insist visiting in September, and book the same accommodation every single time. “Here is still summer!”, comparing to their countries weather. Locals are now their friends. Obvious and expected. We are in Crete anyway! Here, sometimes, hospitality has no limit. And it is not only that. Loutro, with a 800 number of beds, including small hotels and apartment, in August the occupancy often reaches 100%, in September 85% to 90% and 50% in October (hopefully with a good weather). Many times, businessmen of the village (who, btw are either brothers,sisters or cousins) co-operate to arrange accommodation for last minute visitors. They even arrange a boat transfer to the next coastal village, Likos, in order to help them finding a place there. A little later, the small coastal village of Loutro, “shuts its doors” for the winter. A few people (about 10), permanent residents, stay there as guardian angels of the vi4lage, waiting patiently next spring. Loutro is place from another world. There are a few small hotels and apartments operating in the village. Simple, clean and most of the work till late October. Prices vary, €35-€70 for a double room.